Mencap, the Learning Disability charity, and Inclusive Employers are teaming up for a second year to encourage a new selection of companies to offer work experience placements as part of 2014’s Learning Disabilities Work Experience Week. The campaign allows employers to understand the commercial benefits of doing so and think differently about who they recruit. The Social Market Foundation estimates that raising disability employment to the national average would boos the UK economy by at least £13 billion. People with a disability have been proven to have low sickness rates and higher job satisfaction levels. Employing a person with a learning disability has been shown to offer a potential saving of £2,000, based on absence cover and recruitment costs. Despite this only 7% of people with a disability are currently working in paid employment. This is lower than the UK’s unemployment rate of 8% according to data from the Office for National Statistics. Since last year’s successful Learning Disabilities Work Experience Week a range of new companies have signed up to the 2014 event, which runs from 10 – 16 November. Companies who wish to sign up can visit the Mencap Work Experience Week page here. Last year saw the first ever Learning Disabilities Work Experience Week which saw the likes of McDonald’s, the House of Commons, South West Trains, Enterprise Rent-a-Car, Strudel Design and Hampshire Fire and Rescue Service all receive industry awards in recognition of their inclusive employment strategies, and this year a new host of companies have signed up to the campaign. 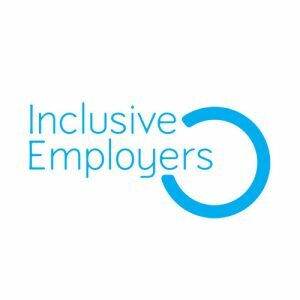 After last year’s successful Learning Disabilities Work Experience Week a new host of companies seen the benefits of adopting an inclusive employment strategy and have signed up to the campaign. “The Co-operative Group understand that to offer fair and equal opportunities for all the community is serves, at times we have to do something a little bit special, working together with Mencap and Inclusive Employers allows us to share our experience and knowledge directly with individuals. Making an impact that can help to change people’s lives and champion a different way of thinking”. “Work experience is a great way for people to build confidence and get a taste of what working life is like. Andy, who has a learning disability and lives with his mum, Sheila, benefited from Mencap support to get his first job. “He was out of work for nearly four years; it was terrible. He was getting more and more depressed – some days he couldn’t even get out of bed. He was failing to receive the support he needed despite me keep telling employers about his learning disability. Be the first to comment on "Companies see the rewards of creating more employment opportunities for people with a learning disability"